January 18, 2019, Ontario– A new energy company that will service more than 162,000 residential and business customers in parts of Durham Region and beyond will be known as Elexicon Energy. 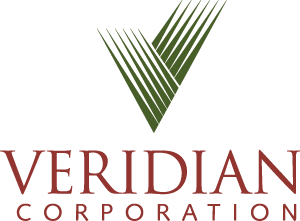 The new company name and logo was unveiled yesterday by Veridian and Whitby Hydro (“The Utilities”), who will merge their two companies early in the second quarter of 2019. Elexicon Energy will be the fourth largest municipally owned electricity distributor in Ontario. The Utilies also unveiled their new tagline – “Our power is response-ability” – as well as the corporate structure, announcing Elexicon Corp as the name for the holding company for all company businesses, and Elexicon Group for the non-regulated business. Veridian and Whitby Hydro will soon start a brand awareness campaign to inform and educate its customers on the new name, logo and what to expect moving forward. The campaign will also highlight the benefits the merged company will bring to its customers, communities and shareholders. To learn more about the merger, visit learnmore.veridian.on.caor learnmore.whitbyhydro.on.ca.